Document translation differs from oral translation, which is also called interpretation. Here your content is translated by translators who specialize in subject matters such as legal services, technical fields, business, or medical sciences. Most of these translations require no certification. Some translations to be used in courts, immigration, college, or employment may require a certification by the translator or translation company doing the job. A free document translator may be helpful in some specific situations. If you just need to have an idea about the content of a certain document and accuracy is not required, then free online document translator may be the right choice. Professionally document translation services are expensive, so you should spend enough time to decide when a professionally translated document is a must. Machine translation is still far from perfect. Whenever you see a ‘translate button’, it means you are trusting your content to a machine incapable of understanding and correctly translate language nuances. If in the past a document was defined by its medium (“paper”), this is not possible any longer. 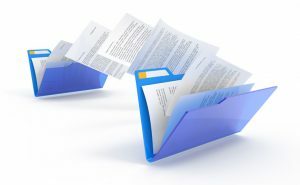 Electronic files are increasingly taking over as the most common form of document being translated by companies. If your company handles large volumes of content, you may want to consider technologies such as document automation. TDSP Translators means all your document translation needs handled in one place. From basic MSWord files to PDFs and complex spreadsheet and XML files we got you covered. We know that finding corporate-grade translations can be difficult. Only a translator who is certified and also an expert in their respective field can provide accuracy. .yaml, .idml, .icml, .mif (version 8 and above only), .zip, .desktop, .ini, .DTD, .Plist, .sub. TDSP Translators recognizes how important it is to provide precise accuracy on your legal documents. Every TDSP Translators’ translator that works on legal translation is fully aware of the local and national laws relating to the content. Our project managers and legal experts guarantee document translation that will satisfy your needs as client. By working with a professional translation company you will be sure to bypass any liability issues that you may encounter in the legal process. To efficiently and seamlessly incorporate overseas markets into your business, you need someone fully versed in financial sectors to provide document translation. A financial translation expert is able to correctly translate annual reports, shareholder information, accounting information, bank statements and any other relevant records. At TDSP Translators, only our financial specialists translate your financial documents. Creating an accurate document translation for technical documents is one of the most difficult parts of translation. Technology requires undivided attention to detail, which is difficult to provide for someone lacking years of experience in the subject matter. Just on this basic reason alone, clients need a translator that has been professionally trained in technical writing while also possessing acuity in the target language. Regardless of whether you need document translation for engineering, construction, scientific research or any one of the other 62 common technical sub-fields, TDSP Translators can deliver success to your translation project. As more and more companies are becoming multi-national the need for business document translation grows rapidly. Inter-office memos, marketing campaigns and negotiations all require timely and accurate document translation. TDSP Translators is staffed with business translators who have a strong history of successful track records and the practical experience to handle your translations in real-world situations. Imagine having to choose a different translation company to do document translation for each step in closing a business deal. First, you need a service to help with the original business negotiations; then you need a second company to work with all the legal documentation prior to signing contracts; on top of that, you need a third company to help set up all the financing and planning for buying and selling internationally. Once all that is taken care of, and your product is manufactured, you need a fourth company to provide translations of the technical documents. Coordinating that many sub-contracts easily seems like a nightmare. Instead, save yourself the backbreaking stress and let TDSP Translators handle all your document translation needs. Forget about machine translation! We provide professional translations ready to be used in your business. Our translations are proofread and carefully crafted by experienced translators so you can use them worry-free. Be careful with cheap translations and providers who won’t provide references in your industry. Getting the wrong translation company may cost you a lot more than you think (avoid translation disasters). Avoid the mental anguish that can come with litigation that may arise from a poor translation. That’s why you need the document translation services of a company that has the experience and professional staff to do your job quickly and correctly. You may need these services for other business documents, whether they are in the cloud or as part of a business or legal case documentation. When considering which company’s document translation services are right for you, you should look for a company that has both the experience and the range of services that today’s businesses need the most. 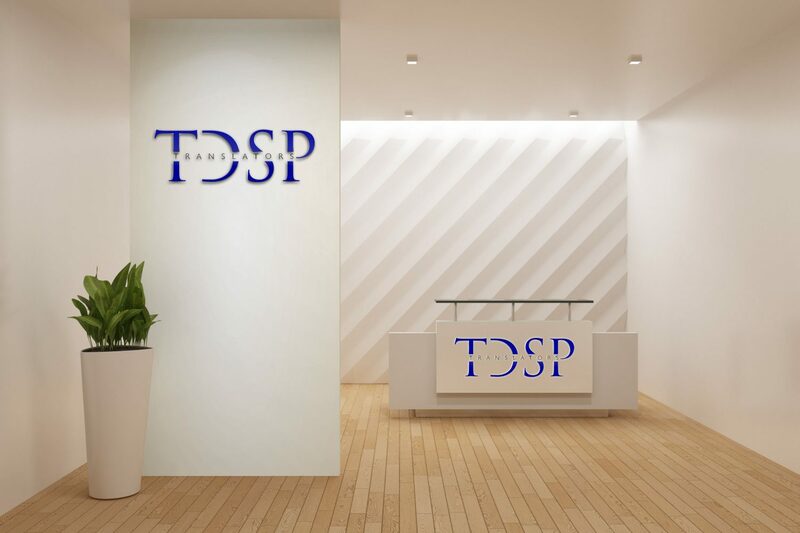 Thanks to our combination of diligent service, accurate translation, and efficient delivery, TDSP Translators has become a major translation name for global clients—including prestigious law firms, governmental organizations, and financial companies in Nigeria and has also secured partnership with major Languages in China, Germany and Japan. When you need a fast, reliable professional translation of documents look no further. Our document translators have the experience and qualifications to offer the broadest range of legal, business, and specialty translations available today. That’s why TDSP Translators has become the document translation company of choice for businesses whose success depends on reliable translation services. Besides offering translation of documents into over 200 foreign languages translated, the expert translators at TDSP Translators also offer a variety of services including proofreading, graphic design, notarization, county clerk, apostille and more! And our project managers will work with you every step of the way to ensure that you are happy with the progress that’s being made on your materials. It is not just about fast turnaround. The main reason our clients are satisfied with our translation of documents is that we guarantee 100% satisfaction on our projects. This guarantee includes unlimited revisions on your finished professional document translation—we’re not satisfied with the project until it meets with your approval. Know your document translation rates today! A free document translator may be helpful in some specific situations. If you just need to have an idea about the content of a certain document and accuracy is not required, then free online document translator may be the right choice. We recommend the following free online document translators: Google Translate and Bing Translator.